The Barrington Board of Education unanimously approved a plan to upgrade lights and fixtures at Avon and Woodland schools during its regular meeting Monday night. It also recognized Woodland School’s students of the month, OK’d a volunteer softball coach and two long-term substitute teachers, approved more than a dozen student teachers and briefly discussed student nutrition and curriculum. Under the lighting program — available only to municipalities and school districts –PSE&G will pay for about 80 percent of the district’s upgrades, while the district would pay for the rest over a 24-month period with no interest. Due to increased lighting efficiency, the district will see a savings from day one, according to Business Administrator Samuel Dutkin. In the first two years, while the district pays for its portion, it is expected to save $4,728 per year. Once the district’s payoff is completed, the savings are expected to increase to $13,236 per year. 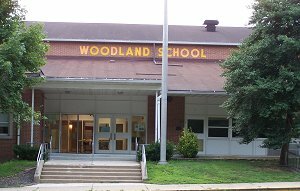 The upgrades — including motion sensors and improved lighting at the Woodland School gym — will likely take place during the summer. — Superintendent Anthony Arcodia noted the creation of a common core curriculum team to help review curriculum standards in the district. — During a discussion of policies and regulations, the board addressed revised school nutrition policies. Board member Mark Correa (see “Disclaimer” below) asked whether the new policies would have or should have any impact on the Just Kids after-school program. Arcodia said he may look into snack policies in general within the district, noting that some snacks brought into the school may be outside what is intended to be served in schools, particularly items that contain sugar as the first ingredient. — Borough Council Member Shawn Ludwig noted the summer recreation program the borough had run in recent years at Avon School may be extended to the end of August this year to provide more opportunities for parents and children in the borough. — The board also approved the minutes of January’s meeting, including the executive session. 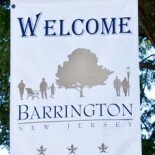 This entry was posted on February 13, 2013 by Barrington Bulletin in Schools.